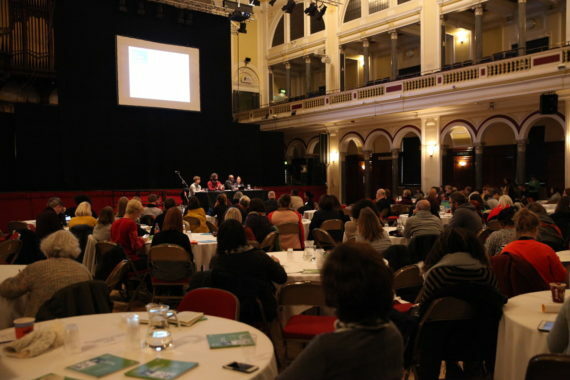 This year's Engage International Conference took place in Hull and was titled ‘The Whole Picture: Rethinking Diversity’. Hull-based artist Paul Collinson reports from the two-day event. 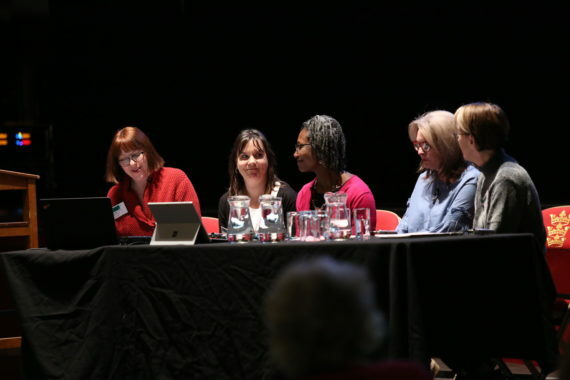 Chaired by Janette Robinson, head of learning at Yorkshire Sculpture Park, the panel consisted of Victoria Rogers from The Cardiff Story Museum, Giffy Burrows from the African Stories in Hull and East Yorkshire Project, Eona Craig, chief executive, Articulate Cultural Trust and Hub, and artist Diane Howse. Initially, each panel member outlined their respective organisational practice, point of view and challenges, rather than directly addressing the questions. Burrows, however, prompted a spontaneous round of applause from the floor by stating that, when people are encouraged to air their prejudices, “we need to counter that”. She was talking about her decade-long Hull’s Stories project and how bringing racial and ethnic difference to the fore could “normalise” difference (although not in a “Hey, but we’re all different aren’t we” way). This was apposite in respect to her city’s history as a port and the flow of differing populations through the city – and also in light of 68% of Hull residents voting Leave. The second plenary session of the afternoon, ‘Nothing about us without us is for us’, discussed issues of disability and inclusion. 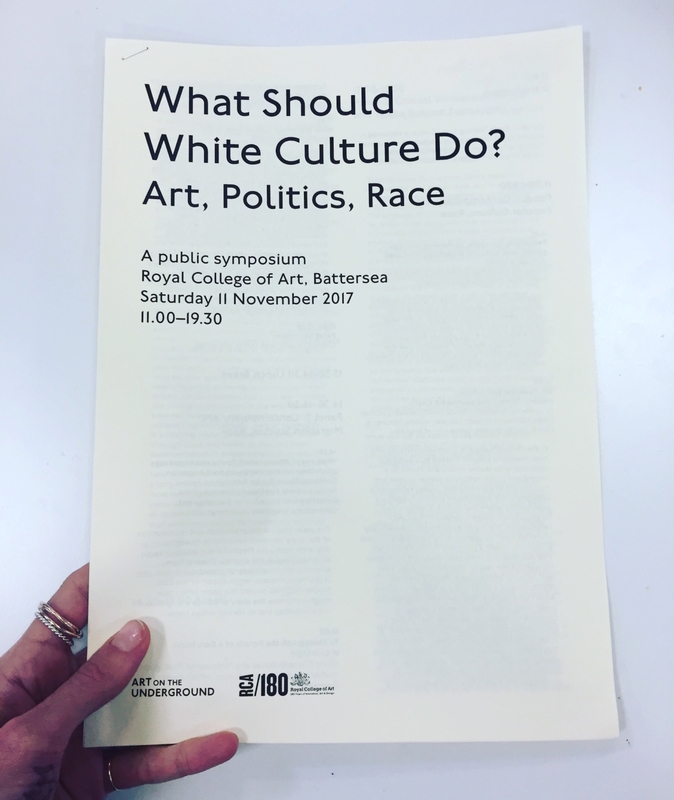 Chaired by Tonya Nelson, head of museums and collections at University College London, the first issue raised was that of the great exclusory ‘we’, of who is ‘including’ who, and why? James Hill, director of Pyramid of Arts, a Leeds-based collective of artists with and without learning disabilities, highlighted the issues and challenges faced by those with learning disabilities. In particular, he talked about the difficulties of finding employment in the arts sector as most, if not all, organisational posts require education to degree level at least – as evinced by the attending delegates. Even finding funding as artists is problematic due to the requirements of written, and often online, applications. This ‘over education’ of the arts sector was brought up by fellow panellist, the digital artist Jason Wilsher-Mills. He is currently Hull’s Artlink Square Peg programme artist-in-residence. In an open and forthright manner, he described how he wanted to “give voice” to those in the city not engaged in society, those not claiming their legal entitlements, and being self-isolating. 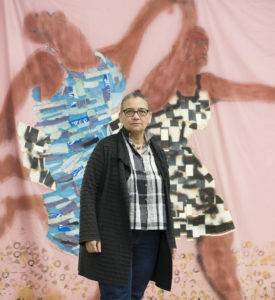 Wilsher-Mills advocated “just doing” rather than “over theorising”. Jude Woods, project coordinator for West Yorkshire Queer Stories, made the point that people should work for their own agenda and not our [organisations’] agendas. “Our strength is that we are not like everyone else,” she said, prompting more spontaneous applause. During the morning of the second day, conference delegates were assigned breakout sessions located at various venues across the city. My breakout, ‘PowerPlay and Integration’, was hosted by two artists: Mo Rahman from the Bradford Immigration and Asylum Support and Advice Network (BIASAN) and Doug Thompson. It was an introduction to the challenges and issues relating to working with vulnerable individuals and families who are signposted to BIASAN as a first point of contact, prior to decisions being made on their right of stay in the UK. BIASAN is not a charity and relies on donations and project fundraising. Thompson and Rahman “mine for information”, encouraging children and adults alike to exchange creativity and make new stories and myths in a safe environment, which includes temporary accommodation. 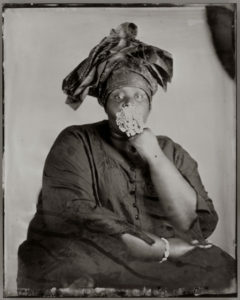 BIASAN use all forms of creative expression and practice so that asylum seekers, refugees and immigrants can make new narratives for themselves. It is a challenging and at times risky undertaking for the pair, and resources are continually being reduced: 80% of project funding has been lost over the last five years. The final afternoon was introduced by Simon Mellor, deputy chief executive for arts and culture at Arts Council England. He made the case for ACE’s strategic framework document, Great art and culture for everyone, in the face of diminishing funds from DCMS and elsewhere. This would mean, said Mellor, that any future funding agreements between NPOs and ACE would be contingent on them having their “roots in communities”. They would have to demonstrate not just diversity in education and access but within core programming. He acknowledged that ‘great culture’ is out there all the time, it is just that ACE currently uses incomplete data (as provided by their funded organisations). What data they do have shows that the participation numbers between white and BME audiences is widening. In the plenary, ‘Who decides what matters?’, writer, playwright and journalist Anthony Clavane chaired a panel consisting of Bryony Bond (artistic director at The Tetley in Leeds), Professor Kevin Hylton (head of the Research Centre for Diversity, Equity and Inclusion, Leeds Beckett University), and Mo Rahman. Clavane started by asking: “Where does the power lie at the moment in the arts sector?” Hylton enquired: “What is stopping the moving forward, if lack of diversity is accepted in arts and culture organisations?” One reason for this, he suggested, is the dominance of white people at strategic organisational level due to what he called “bottlenecking” – the lack of selection of BME decision makers from the lower echelon. Neutrality (especially white neutrality) is therefore not an option, he argued – there needs to be a pro-active undertaking within and by organisations at all levels to make sure that there is diversity. 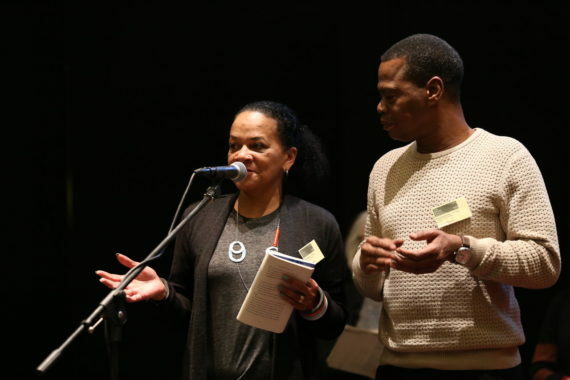 Commenting on disparity was what Hylton called his “micro aggression – if you see it ‘call it out’.” Rahman was more direct, referring to the reduction in project funding by government and the growing gap between the number of BME and white staff at the higher level of arts and culture organisations such as ACE, and how this affects any agendas. While diversity is a recognised aim, achieving it is hindered by the very institutions set up to deliver it. The final plenary session was ‘Are we there yet? How will we know when we’ve got there?, chaired by Dr Nigel Morpeth, a research fellow at the Culture, Place and Policy Institute at the University of Hull. He outlined the effect the UK City of Culture had had on the city by quoting from the interim impact report produced by his department. The data does show that visitors to Hull and its residents have certainly been confronted by art and culture this year. In answer to the question, ‘Are we there yet?’, panellists Nigel Guy, Rommi Smith and Richie Turner were unanimous and emphatic in their response: “No!” Smith expressed her weariness at having to sit through another conference of predominantly white middle-aged women – the “comfortable club” as she put it. Change, she said, comes from argument and conflict. 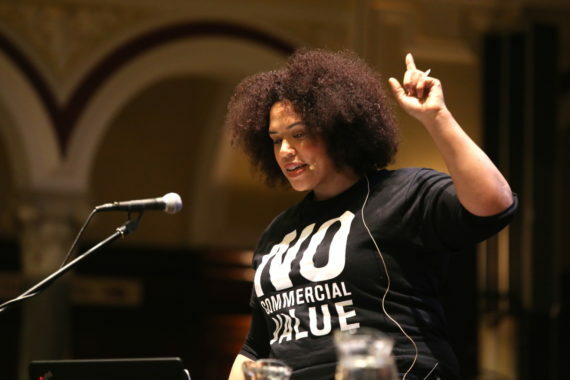 The text of her T-shirt summed up an example of the attitude of UK funding for a Black filmmaker – ‘no commercial value’. Diversity from and within institutions was acknowledged by delegates present. How public sector institutions achieve this when most of their strategic level staff are white is another matter. 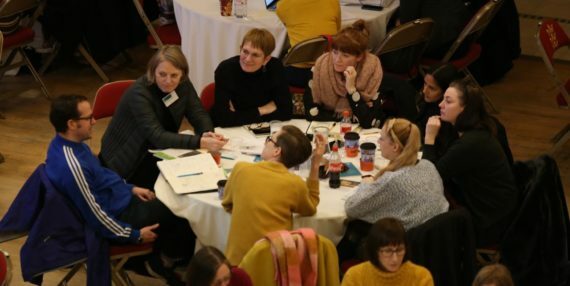 Until organisations that are publicly funded can implement equity for protected groups at strategic level or as stakeholders, then the cultural sector decision makers will remain predominantly the well-educated, advantaged and white. The Western cultural narrative needs new stories: they need finding and bringing forward for all our sakes.